New York City's outerboroughs hold their own share of beer brewing history; after large wave of brewery openings and subsequent closings in the 20th century, a handful (but not an insignificant amount) of successful New York breweries from that era remain. 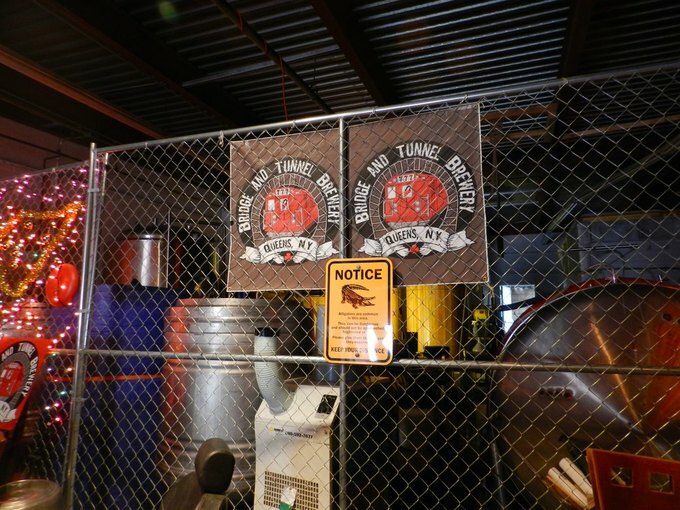 Bridge & Tunnel Brewery opened in 2015, which technically makes it part of the "new wave" of New York breweries. 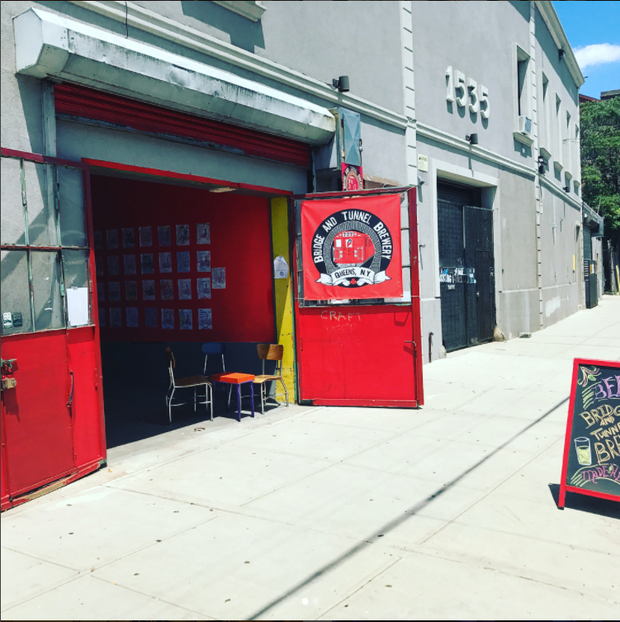 But, just because it is relatively new to the Queens/Brooklyn brewing scene, doesn't mean it is any less rich in New York's signature brewing culture. Bridge & Tunnel's head brewer Rich Castagna grew up on the border of Ridgewood and Maspeth, Queens; He feels a kinship with the community that can only come from having lived one's entire life as a part of it. 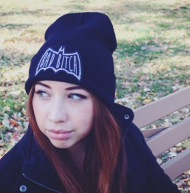 "[I was] born in Wyckoff Hospital, [and] schooled in Ridgewood. Growing up here was cool and all, but looking back, it was a wild ride ... It was a gritty environment," he said. "I'll spare you a long winded story, but it's the root of the reason why my brewery had to be here." Though objectively his brewery is relatively new, Castagna is no amateur brewer. 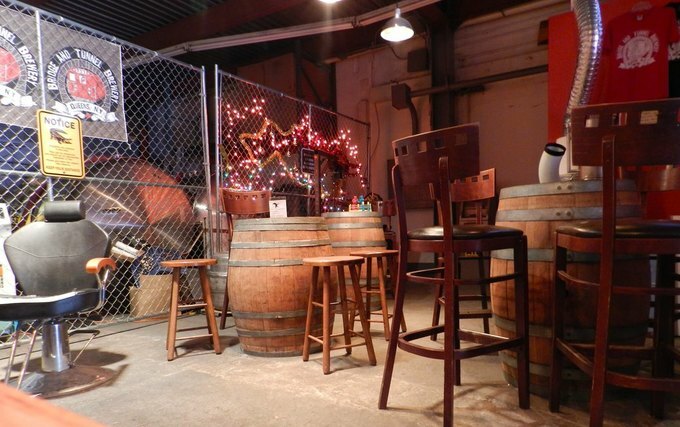 Before Bridge & Tunnel, he operated a nanobrewery out of his garage for nearly two decades. "I have beer workers in my family. It's just something we did," he said. Every ounce of passion Castagna has for beer brewing, he puts into making Bridge & Tunnel a low maintenance community-focused space with an emphasis on New York culture. Castagna literally hand-made the brewery's signature giant wooden tables with repurposed scrap from an old tenement building in central Brooklyn. Even the 14 on-tap beers currently in circulation are named in reference to a story from either New York's history or Castagna's own childhood. For example, B&T's Fear City Barleywine is named after a series of pamphlets New York law enforcement distributed to tourists in 1975 after the city's mayor laid off nearly 10,000 public service workers during the city's mid-century fiscal crisis, when crime in Manhattan was at an all-time high. Though Bridge & Tunnel's central theme might read as unapologetic New York City pride (and rightfully so), its taproom is anything but exclusive. "I want my brewery to be part of the voice of the collective changes happening [in the neighborhood]," Castagna mused. "My goal is to continue to promote a sense of community, as well as a successful fusion of the different populations that come [here] ... It's a place where patrons get to know each other, and there isn't a divide between New York cultures." 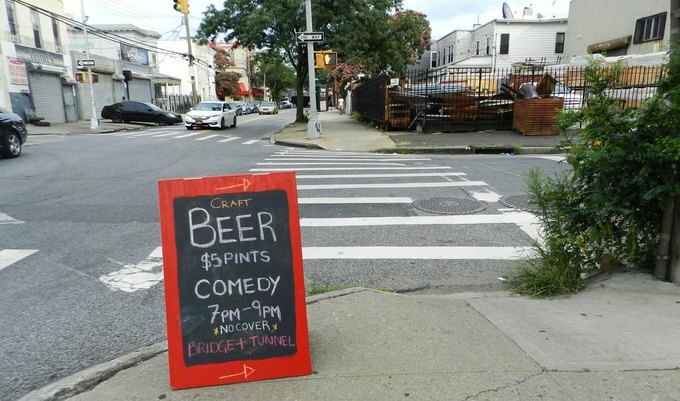 On a multifaceted, superficial scale, Bridge & Tunnel is much more than an homage to NYC history; the taproom is dog-friendly, family-friendly, and host to a series of performances ranging from punk concerts to stand-up comedy. But of course, let us not forget about the beer. The brewery's beers and ciders come in an impressive variety of types and flavor combinations; the 20-Spot and a Switch Blade Coffee Cream Ale, the Phoenix on Starr Habanero IPA, the Bone Orchard Vanilla Porter, and the Angry Amel Dunkelweizen are just a few of the unique brews to be sampled at Bridge & Tunnel Brewery. Each pint is only $5. B&T also has its own House Blend Kombucha, which takes the novelty of this brewery to new, endearing heights. Cover image courtesy of Bridge & Tunnel Brewery' Instagram page. 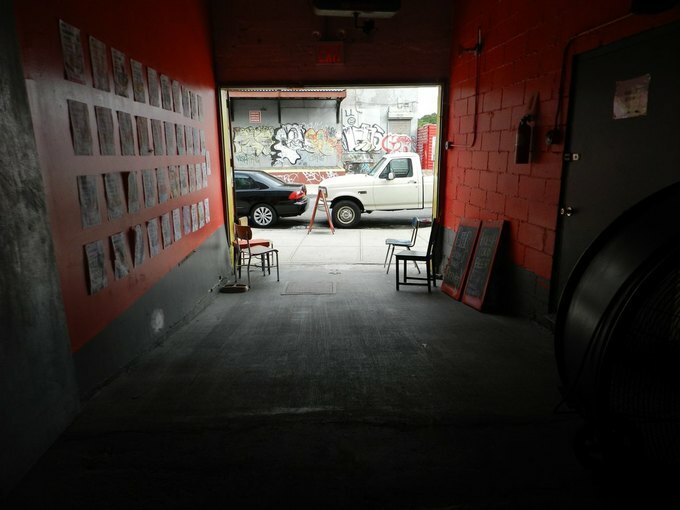 Subsequent images by Jacque Medina for Bushwick Daily. Weekend-only brewery with 14 taps and a neighborhood vibe. Follow Bridge & Tunnel Brewery on Facebook and Instagram.